Tunde Bakare, the serving overseer of the Latter Rain Assembly (LRA), says he will be rallying over 50 million Nigerians of voting age, by January 2019. The fiery preacher on Sunday evening, launched the New Nigeria Progressive Movement, with the primary aim of shaping Nigeria’s political landscape beyond elections. 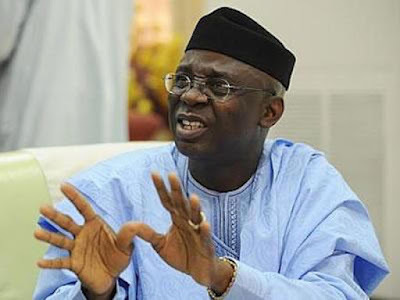 “While the short term temptation is to focus exclusively on routine citizen engagements ahead of elections, the New Nigeria Progressive Movement, which we are launching formally today, must be more futuristic in outlook,” Bakare said. “It must not be a reincarnation of the Save Nigeria Group (SNG) in mood or mannerism, or yet another bandwagon movement in a crowded market, with the multiplicity of voices. Instead it should position itself to reopen the conversation and deepen the conversation on restructuring, as a premier political platform in this regard. “We have the core conviction that what Nigerian needs now is not an election of men and women running for office in the conventional sense, but a renegotiation of the Nigerian union towards the emergence of a restructured united Nigeria (RUN)”. The former running mate to President Muhammadu Buhari said he has met with Oby Ezekwesili, former vice president of the World Bank, and convener of the Red Card Movement; and Fela Durotoye, the leadership coach, who recently revealed his intent to run for president in 2019. Bakare, who did not say much about his meeting with these people, said the vision of his New Nigeria Progressive Movement is to “harness the potential and the promise of the Nigerian people towards the emergence of the new Nigeria”. The mission is to “midwife the evolution of an acceptable functional governmental structure for Nigeria, facilitating, as may be necessary, to achieve the restructuring imperative, reconciliation, and reintegration, towards united nationhood”. He said the goal is to “by January 2019, we would have mobilised a minimum of 50 million Nigerians of voting age, drawn from each of the six geopolitical zones, into a formidable force, with a shared voice, values, vehicle and vision, thus placing the RUN agenda on the front burner, ahead of the scheduled 2019 elections, and beyond. “I had a meeting with a group of retired military generals and top corporate personalities, who have positioned themselves along the length and breath of this country, with a platform promising over 10 million people to deliver for this cause. Bakare revealed that he is working with Nigerians in England, Scotland, United States, Australia, UAE, and other regions of the world. He said he had met ministers in the government of the United Arab Emirates in Dubai, to understand how the successful tourist country works, in preparation for a new Nigeria.